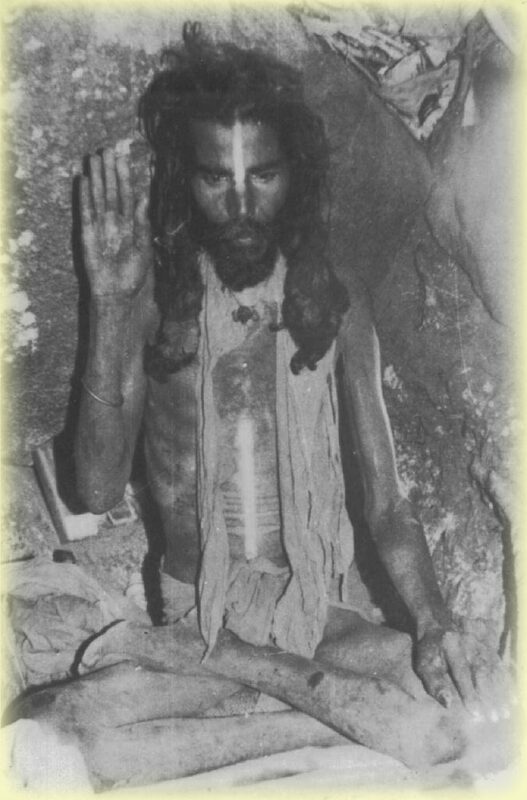 Guru Ayya is a Siddha Sage who was meditating above in a cave on Arunachala mountain for 18 years and then in the quiet of his village for another 6 years. He left his body March 2018. Siddha Sages act and behave in ways that is not considered normal. He meditated 24/ 7 transcending sleep and hunger. While on the peak of Mount Arunachala in a cave, he drank just a cup of milk a day, sitting unmoving in the malasana posture. To receive his blessings, his instructions were- recite his mantra walking around him. He assured that there was no need to ask or speak to him personally as any thought or intent would manifest and be fulfilled in the mantra grace. As in prayers ask for the intent/ need or simply seek his Presence. Do dharma/good in Ayya’s name and thought to consummate the grace of Guru Ayya. GURU AYYA & HIS MANTRA – an interesting insight using Guru Ayya’s mantras::: Siddhas, the enlightened Beings who journey beyond, are the mystics who have for years held a singular focus, preferring solitude and meditating without any disturbance or interaction with others. Ayya’s Guru, Siddha Ayya Vaikuntha’s prayers would be recited and we were given Ayya’s mantra and reciting the mantra we walked around Ayya several times. Ayya would then share tea and herbs served in coconut shell cups and his attendant on behalf of Ayya would put the holy white third eye blessings for all the seekers. I realized that any thought or the wisdom behind that thought manifests in Ayya’s presence & his mantra- however big or small the thought was. I sought through one of my pilgrimages to see God with my two eyes. To me this vision was important as I wanted to realign to the childhood experience of seeing God when I was aged 4. After being with Ayya in the morning and descending the mountain, later that evening, while meditating from the rooftop of our hotel, there was Arunachala, in a golden hue- the splendor of splendors. The blessings I received was the perpetual ‘vision’ of God at all times that latter inspired me to do the paintings of Siddha Darshan and create my book Mastery of Consciousness with each picture depicting the alignment to the vision in its uniqueness. For the many years I have known Ayya, any time I chanted his mantra, that which I had needed came true as realities with a qualification- either the intent fulfilled itself or the wisdom behind the intent. I remember praying for financial relief and survival of my failing business- and my business instead sank. Beyond obvious through all the time since connecting with Guru Ayya and being in the mantra fires was the knowing that while chanting- that I was in the ancient Light vortex, guided- with each thought the gift of Ayya, the lineage of the Siddha and the intent of greater good for all. Today I thank Ayya’s for this reality as wisdom as to let go of my past and to start afresh doing my heart’s work as a yogi and humanitarian. The usage of Ayya’s mantra meant I was connecting to Guru Ayya’s presence and his Gurus and this resulted in attaining better quality of thoughts with more potency. Through experience I learn that Siddha mantras are incredibly powerful as in transforming and expanding our consciousness almost immediately, bringing the power of Guru Ayya’s tapas (meditative fires) into our every thought, daily lives and our highest purpose as transformation for each to be the Siddha. 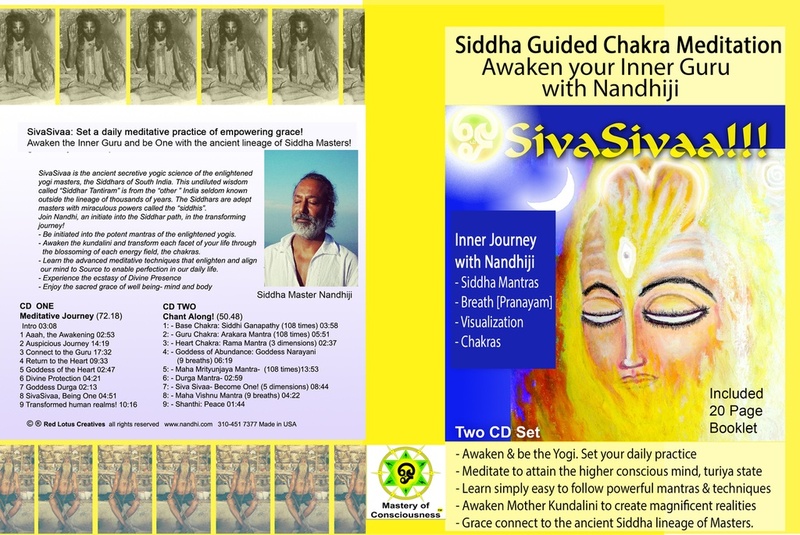 SivaSivaa Siddha Guided Chakra Meditation- mantra initiation inner journey.